I’ve been a consistent critic of Natural News, the website run by the self-proclaimed Health Ranger, Mike Adams. Without a doubt, Adams pursues pseudoscience and woo with the passion of a child chasing down the next video game for his Playstation 4. In Adam’s newest conspiracy of bad science, he claims that manufacturer of vaccines need Planned Parenthood, a nonprofit organization that provides reproductive health care in the United States and globally. Why? Because Adams claims that vaccine manufacturers require an unending supply of aborted fetuses for testing and production. You might not be surprised, but Adams is a fancier of incredibly inane conspiracies. For a while, he decided that David Gorski was involved in some ridiculously and massively complex scheme to do something or another, which I treated with all of the seriousness it deserved. More recently, Adams tried to convince the world his website’s delisting from Google was the result of some dark conspiracy against himself, Donald Trump, and Steve Bannon. It turns out that Natural News put some malicious code in its website, a huge no no for Google. For those of us who are keen observers of some of the crazy conspiracies foisted onto the internet, Mike Adams always seems to be hovering near ground zero. Adams has claimed he’s a better scientist than Neil DeGrasse Tyson. Yes, he made that claim without any sense of irony. Typical of your average everyday real scientist, Tyson thinks that evidence should lead one to a conclusion, you know, what we call the scientific method. Typical of any pseudoscientist, Adams thinks that he can invent a few lame experiments to confirm his preconceived beliefs. Mike Adams’ anti-science beliefs includes just about every important scientific fact of our modern world. He is an AIDS denier (meaning he doesn’t think that AIDS is caused by HIV). He is anti-vaccination. In the political world, he is an 9/11 truther, and he is an Obama birther. He thinks chemtrails exist. He has advocated violence against GMO supporters. If you have a list of nonsense conspiracies, you can tick off Mike Adams as supporting all of them. But this new one he’s pushing? It takes Adams to a whole new level of strange. Planned Parenthood is a wonderful non-profit organization that provides all kinds of health care, at little or no cost, to women across the USA (and in many cases, across the world). They provide education, birth control, and health examinations for women of all ages. They are one of the leading advocates of the HPV cancer-prevention vaccine, one of the most important tools we have to prevent certain kinds of cancer. And yes, Planned Parenthood provides abortion to young women who have run out of options for their reproductive healthcare. They are the leading provider of abortions in the USA, filling a need in many areas where abortion advocates are threatened and terrorized by the so-called “Pro Life” movement. In fact, Planned Parenthood provided over 9.5 million discrete health care services for women, only 3.4% (or 324,000) were abortions (pdf). In other words, Planned Parenthood serves an immense need in the country to provide high quality healthcare to women who may lack access to it. They are a wonderful organization, and in a perfect world, they would be above any criticism. And their sole reason for existence is not to perform abortions, but mainly to be a healthcare resource for women. But the right wing hates Planned Parenthood. Donald Trump wants Planned Parenthood to stop abortions before it receives any Federal funding, even though the organization does not use Federal dollars to perform abortions. And this is where we come to our online conspiracist, Mike Adams. Adams, relying upon the debunked story about Planned Parenthood selling aborted body parts, claimed, without evidence, that Planned Parenthood “abortion facilities (who) supply aborted fetuses to researchers are offered a fee by the research facilities so that the baby’s organs can be harvested immediately and on-site.” Adams only evidence to support this claim is the nonsense story about the selling of aborted fetuses. Most people who have seen the disturbing images of dismembered fetuses resting on blood-covered Petri dishes are able to reach the conclusion that the sale of tiny lungs, brains and limbs of babies for profit is a sick practice. The act of abortion is gruesome enough, given all of the twisted and unethical methods that are used, but to go ahead and sell the cut up remains of what once was a living and breathing form of life is borderline sociopathic. Some vaccines are produced using cell culture, a method to grow cells in a culture medium independent from the original organism, from two aborted fetuses. The two cell lines used for this manufacturing are the WI-38, fetal lung fibroblasts originally cultured in the early 1960s, and the MRC-5, fetal lung fibroblasts cultured independently in 1966. Why do we use these cell cultures for vaccine manufacturing? Well, it’s fairly simple – the viruses, say chickenpox (varicella), grow best on actual human cells. Using these cell cultures, scientists can control certain aspects of the virus. For example, to attenuate (or weaken) some of these viruses before being used in the vaccine, they grow the cells (and the infecting viruses) at a relatively low temperature. The virus then becomes adapted, through natural selection, to the low temperature culture. When the vaccine is used, and it is injected into the 37ºC body, the virus is weakened and does not replicate. So it induces the immune response without the virus become a pathogen and injuring the body. There is no evidence that Planned Parenthood is selling aborted fetal tissue to vaccine manufacturers. In fact, vaccine manufacturers use two cell lines, both 50 or more years old, to produce some vaccines. Other vaccines aren’t grown on human fetal tissue, but are grown in other cell lines like chicken and other animal cells. There is no evidence, at this point in time, that vaccine manufacturing needs another human fetus cell line for new tissue, but it could happen. I can’t imagine the controversy when that day comes. The reason for using human cells is to produce safer and more effective vaccines. Sometimes, researchers avoid using animals for production of vaccines – supply of animals can be subject to a lot of issues, but more importantly, the viruses may not grow sufficiently in a non-human cell to be useful in a vaccine. ..people, especially Christians, should boycott the products in order to force pharmaceutical companies to produce vaccines in an ethical manner instead of using cells from aborted babies. In other words, individuals should, when possible, use vaccines that don’t rely upon these fetal cell lines. But if it’s impossible to do so, the parents still have a “moral obligation” to protect the lives of their children. Adams is attempting to invent religious dogma, without actually considering the ethical consequences of his proclamation, to avoid vaccines. I feel like Mike Adams is low hanging fruit for criticism. He’s basically off on another planet of verifiable information. Vaccines save lives, and sometimes to save lives, we need to use half a century old cell cultures from aborted fetal tissue – this thoroughly debunks the “vaccines need Planned Parenthood” trope. Donald Trump has stated that he is very strongly (or bigly?) against the right to abortion, and the empowered right wing Republicans in many states are pushing some awful new legislation. And Trump has issued an executive order that blocks Federal funding of any non-profit organization that pays for or even mentions abortion, effectively “gagging” these organizations from providing health services to women across the world. Lucky for these women, the Gates Foundation birth control funding may replace a lot of Federal funding, and for that we should be thankful. Ensure more young people survive and thrive. Empower the poorest, especially women and girls, to transform their lives. Combat infectious diseases, especially those that affect the poorest. Inspire people to take action to change the world. 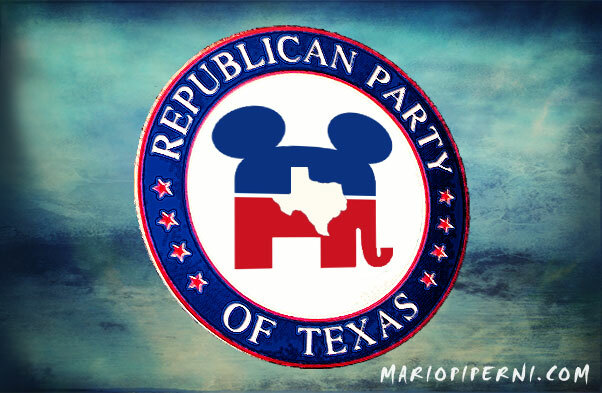 As long as the Republican Party runs the state of Texas, then its strategies and beliefs are equal to the beliefs of the state itself. The Texas Republican Party just published its platform of beliefs (pdf), filled with nonsense, craziness, and denialism. I’ll stick with the anti-science junk, but you can amuse yourself with everything from immigration to voter ID. Protection from Extreme Environmentalists – We strongly oppose all efforts of the extreme environmental groups that stymie legitimate business interests. We strongly oppose those efforts that attempt to use the environmental causes to purposefully disrupt and stop those interests within the oil and gas industry. We strongly support the immediate repeal of the Endangered Species Act. We strongly oppose the listing of the dune sage brush lizard either as a threatened or an endangered species. We believe the Environmental Protection Agency should be abolished. Obviously, a knock against global warming, or at least, that Texas’ oil and gas interests take precedence over global warming, endangered species, and the EPA! Apparently, the dune sage brush lizard is of critical importance to the Texas political process! It is not physically dangerous, because out of 1.52 million uses, there were around 2200 adverse events (pdf), or around 0.14%. That’s less than smoking. Or drinking. Or walking across the street. Fetal Pain – We support legislation that requires doctors, at first opportunity, to provide to a woman who is pregnant, information about the nervous system development of her unborn child and to provide pain relief for her unborn if she orders an abortion. We support legislation banning of abortion after 20 weeks gestation due to fetal pain. There is little evidence that a fetus feels pain prior to 30 weeks of gestation. This is merely a method for anti-abortion and anti-women individuals to promote some sort of viability in a fetus. Actually, the First Amendment prevents the establishment of religion by government, which includes government sponsored institutions like public schools. Health Care and Nutritional Supplements ― We deplore any efforts to mandate that vitamins and other natural supplements be on a prescription–only basis, and we oppose any efforts to remove vitamins and other nutritional supplements from public sale. We support the rights of all adults to their choice of nutritional products, and alternative health care choices. Because real medicines that actually do real things require regulation. Vitamins and supplements that don’t do anything and have no evidence supporting their efficacy prefer not to be regulated. And the Republicans want that dishonesty to continue. Immunizations ― All adult citizens should have the legal right to conscientiously choose which vaccines are administered to themselves or their minor children without penalty for refusing a vaccine. We oppose any effort by any authority to mandate such vaccines or any medical database that would contain personal records of citizens without their consent. Vaccines save lives. Any other rationalization does not save lives. Well there’s your Republican lunatics in Texas. Maybe one day the demographics change enough that a more progressive group of people run the state, removing the insanity.